Queen’s Gambit Accepted Opening: D21: Queen's Gambit Accepted Player(s): Greenfeld, Korchnoi, Vitiugov, Rublevsky, Graf, Ibarra Jerez, Giri, Laznicka, Kozuk, Sermek, Bagaturov, Lima, Gelfand, Lautier, Pelletier, Domont, Anand, Adianto, Kasparov, Kamsky, Avrukh, Rublevsky, Shariyazdanov, Rustemov, Alekhine, Gruenfeld The Queen's Gambit Accepted is characterized by the move 2...dxc4 after 1 d4 d5 2 c4. Black surrenders the center to White, only to counterattack in that sector. This is a venerable defense used by many famous players including, among others, World Champions Steinitz, Alekhine, Petrosian, and Kasparov. 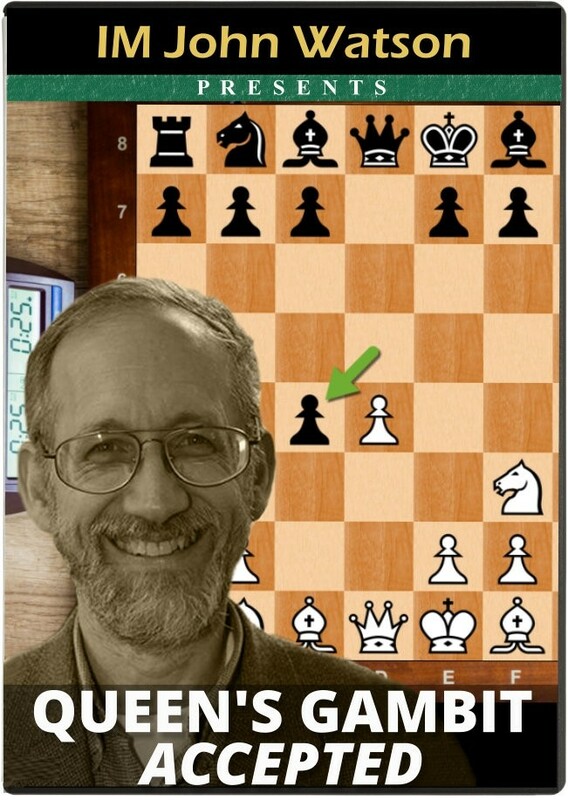 John Watson demonstrates a direct way for White to play against it and obtain a promising game.